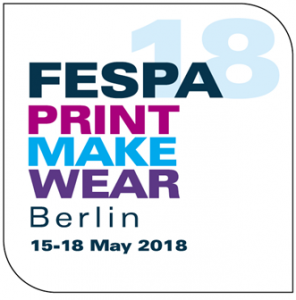 During FESPA Fest, held 12 and 13 February in Berlin, Germany, FESPA announced the latests developments at FESPA Global Print Expo. The show will include a large event programme, founded into the key growth trends in specialty printing. Two major new experiential and educational features will be introduced for the first time at the Berlin event. Reflecting the significance of garment applications within the wider opportunity in printed textiles, Print Make Wear is a new, interactive visitor feature designed to replicate a fast fashion factory. Focused exclusively on fashion textiles, garments and printed accessories, the feature takes the form of a live production environment highlighting every step in the screen and digital printing production process, from initial design to finished product. The Digital Corrugated Experience is an educational and experiential area, showcasing the advantages of digital print for corrugated packaging and retail display applications. It aims to highlight to packaging converters and box-makers the benefits of integrating digital technology into their production mix. FESPA will continue to highlight the evolving opportunities in printed décor with the Printeriors Showcase area, an immersive space featuring prominently in the entrance atrium of Messe Berlin, inviting all visitors to FESPA 2018 to explore and interact with a curated selection of printed room-sets and objects, reflecting the ever-widening scope for printed décor in corporate, hospitality and domestic settings. Building on FESPA’s long history of offering free educational seminars for visitors on a range of topics, a single FESPA 2018 Trend Theatre will consolidate this educational offering in one location, making it easy for visitors to locate and plan sessions into their time at the show. All sessions in the Trends Theatre are grouped around the trends identified by the independent research, and Smithers Pira will deliver sessions on each key trend over the course of the show. 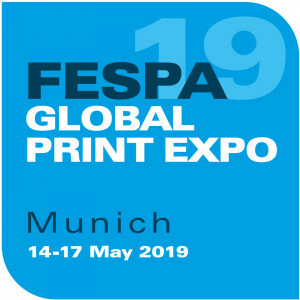 FESPA Global Print Expo 2019 will take place over four days from 14 to 17 May 2019 at the Messe München, Germany. The event will occupy six halls at the exhibition centre, covering screen, digital and textile printing, and will be co-located with European Sign Expo 2019.